The Labour Party gathers in Liverpool this weekend for its annual conference in reasonable spirits. Brexit chaos isn’t quite their problem – yet. A strong, if losing election performance, a lead over the Conservatives in every age category up to 45, a leader enjoying huge popularity among grassroots members (confirmed by his re-coronation in Liverpool two years ago) and a vibrant mass membership party (try getting a hotel here…) may combine to provide an upbeat mood in Britain’s most receptive city. Not that the last year has been trouble-free. Rows over anti-semitism have adversely afflicted two Liverpool Jewish Labour MPs – but the prospect of a Corbyn-led Labour government – dismissed as fantasy by many commentators when the party last gathered here – is now seen as a live possibility. Perhaps the biggest danger for Labour this coming week is that the party spends too long looking inwards. Almost all of Sunday is taken up with ‘party democracy and campaigning’. In contrast, Brexit, the most important issue for generations, merits a mere 2.5 hours of the conference timetable – a bizarre imbalance. If ‘party democracy’ involves attempts at ideological purity via the deselection of ‘Blairite’ MPs – those guilty of sympathy towards a leader who had the temerity to put Labour in power for years – it will be a wasted conference. Introspection and internal bloodletting would be tactical errors at a time when Labour needs to be looking outward to the country as a government-in-waiting – not least because there remains the possibility of another snap election. Many Labour MPs may remain sceptical over the merits of their leader – and a fair few will absent themselves from Liverpool – but scepticism is not grounds for their political execution. Labour cannot avoid producing a definitive Brexit policy any longer. Talk of ‘remaining in a Customs Union’ (whose, exactly?) and opposing Theresa May’s (already dead?) Chequers proposals (with what?) will not suffice. Labour needs to decide what its own version of Brexit would constitute – and determine whether a ‘people’s vote’ is a runner. A second referendum policy would please an increasing number of trade unions but fracture Labour’s base and divide many of the party delegates heading to Merseyside. The short Brexit debate and Corbyn’s conference speech will be big tests of his leadership skills – how much can he depart from his longstanding Euroscepticism for tactical reasons to pressure the Tories – whilst staying true to those Labour heartlands that voted for Brexit but may suffer most? So, expect a lively week. 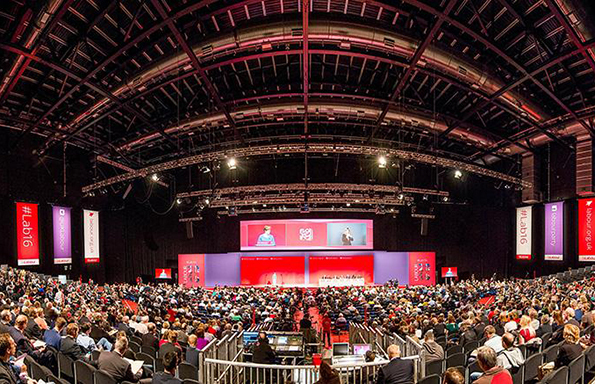 But not as lively as the party conference that looms in Birmingham the week after next….